Immaculate home without new built pricing!! 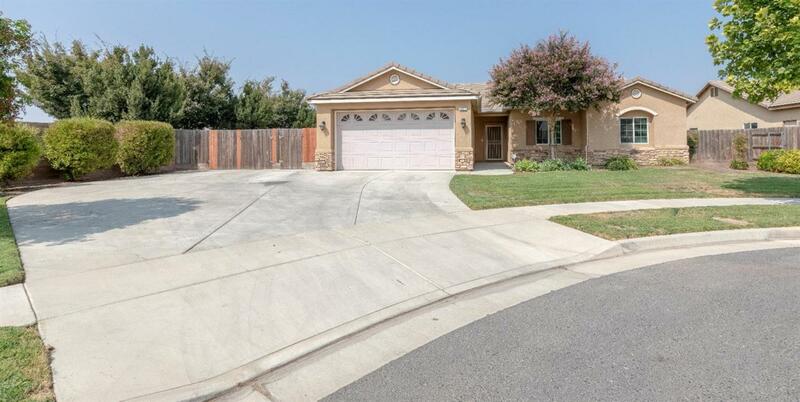 This 4 bedroom/2 bath home has custom tile flooring in the living areas, new carpet in bedrooms and fresh neutral interior paint that would complement any decor. Home features a great room, a den or can be used as an office, and a large covered patio. Home has energy saving construction such as 2x6 walls, upgraded R-30 insulation and Low E Dual Pane windows which reflect uv-rays. Home has an open floorplan with an oversized granite counter in the kitchen with breakfast bar sitting, new stainless-steel appliances and plenty of cabinets for storage. The master suite has large walk in closet, spa tub and separate shower. Mature landscaping in front and backyard with automatic sprinkles, large cul-del-sac lot with RV parking. Too many upgrades to list. Call today for a private showing!! Listing provided courtesy of Osvaldo Tiscareno of Bella Vista Real Estate.